There’s no revolution here in China—social, political or economic. Transformation for China isn’t happening in the grassroots, or in the upper echelons of power. But there is reform appearing in Chinese policymaking, in the middle ranks of government, at the in-between. That’s occurring daily, indirectly, and in response to local challenges. There are good reasons for officials here to ponder and practice what can be called a “policy renovation” in China—a rethinking of the role of local government, and hope it can step back into areas it had vacated. Both central and local officials are seeking to solve problems they see as hampering their authority [职权] to rule. Local cadres and bureaucrats will attend to Beijing’s directives, of course; but they also recognize that managing-down is often more crucial than managing-up these days in PostModern China. That’s because political promotion for local officials simply isn’t tied as much to sponsors as it was in years past; being adept at problem-solving matters more, especially as China urbanizes. Local policymakers are compelled to be more in touch with the street and communities than in years past because the challenges of larger cities and new types of residents absorb more time and resources, and cannot be left unattended. Officials don't want to be seen as neglecting their neighborhoods because they know that it’s the local that matters to residents, and what their superiors look at when evaluating performance. 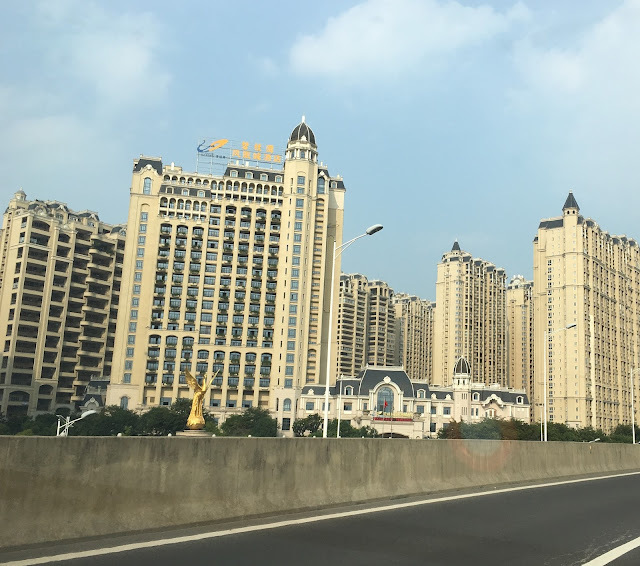 That sentiment to supervise seems to be the driving force of an initiative in Nanjing, where officials are looking to hold property management companies [物业公司] accountable for their shortcomings in supervising the growing number of gated communities. Those problems have been continuing to plague many of the 1,357 firms here, which, according to the city calculations, currently supervise more than 4,000 management projects. In theory, Nanjing enjoys a relatively decentralized property service market, with citizens free to sign contracts with whatever management company that they wish, for whatever specified time that both parties agree to (usually a year or two, with the option to extend). At the end of that period, the contract can be extended or terminated, depending on the wishes of the residents. But in practice, the situation is fraught with problems. Despite the purportedly large number of choices, about a dozen property management companies dominate the Nanjing marketplace, all of them enjoying political connections with various departments and agencies. Many of the smaller firms are actually owned and operated by larger companies, including State-owned enterprises and others. Some property management companies have been known to compel others not to bid for particular compounds, while others have used their local political influence to ignore court orders to leave communities when residents wanted to switch firms. And more than a few communities are dissatisfied with the level of service they do receive, producing a nasty spiral whereby residents withhold payment of annual fees as a protest, and property management companies plead lack of funds and then privatize space and other assets in compounds to generate revenue they insist is necessary to sustain operations—but which many residents believe simply go into “little treasuries” [小金口] for use by those companies. Since the beginning of 2017, local officials have sought to play a more direct role in community decision-making where property management firms are concerned. In recent months, they’ve met directly with residents in compounds where oversight and responsibility by companies is seen as lax; advised owner representative committees about their legal rights to hold these firms accountable; and followed up when companies have been reluctant to get on the right path. This is the State siding with unhappy citizens, not trying to restrain them. Officials are not only concerned about residents getting angry (some in Nanjing have, and their protests resolved largely peacefully), but the safety of facilities. Some inspections have reportedly shown that more than a few property management companies neglect fire codes and don’t do enough to maintain safety equipment generally. Authorities know that Nanjing lacks the necessary fire-fighting infrastructure (it’s run by the military and dedicated to its protection first) and so a fire in a major housing complex could easily turn tragic. There’s also questions about the fiscal soundness of some property management companies, as rumors abound of some using annual service fees to invest in financial schemes that may have already turned into scams. At the end of July, Nanjing authorities indicated that a general regulation regime would be constructed that would require property management firms to abide by certain rules and undergo credit inspections. And in recent days, a Nanjing government group has created a property management company for a residential area, to make sure that the necessary services are being provided under direct supervision by the city. It’s likely a pilot project, indicating that local authorities are experimenting with taking over (or least, consolidating) certain firms and doing some (or most) of their work for them. The reasoning behind these recent moves, according to official media, is that neither the market nor a wholesale return to State-owned housing is sufficient to solve problems caused by property management companies rent-seeking. There's no official term for it, though maybe "New Socialism" will work. But this is still very much the Local State stepping in, taking direct action instead of just hoping for the best. It's not an effort to censor, cement ideological control, or stifle dissent. Instead, this is a local government deciding that it had better start doing what the market has messed up. It may not be the sort of far-reaching reform that some might wish for China--especially those who think that the only change worth talking about is regime change. But it’s reform nevertheless--a step forward in at least one city where officials aren't afraid to stride. Many observers persist in believing that political activists and social dissidents--including a purported feminist movement that no one here has heard of and whose alleged leaders are overseas--are somehow frightening China’s leaders. How anyone can possibly discern when leaders here are scared or not is left unmentioned. Many analysts who look at China equate authority [职权] with legitimacy [合法性]. The latter is largely a legal term, comfortable for Western conceptions but largely irrelevant beyond documenting the scope and boundaries of government power in China. When commentators outside China speak of the Communist Party striving to maintain “legitimacy”, they’re projecting anxieties that don’t exist among officials, as well as misunderstanding how politics plays here.